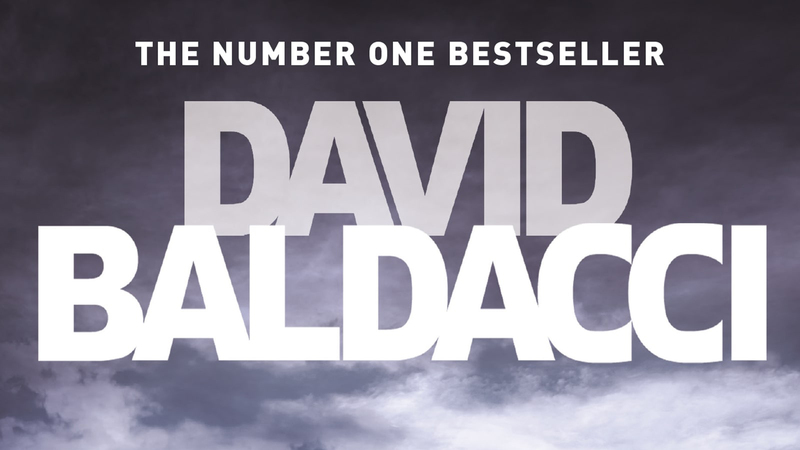 The complete list of David Baldacci's novels, organised by series. The complete list of David Baldacci's novels, in order of publication and arranged by series. It is thirty years since FBI special agent Atlee Pine’s twin sister, Mercy, was taken from the room they shared as young children. Notorious serial killer Daniel James Tor was caught and convicted of other murders, and, while there’s no proof, Atlee believes he knows what happened to Mercy. Atlee has never stopped the search for her sister. Now, assigned to the remote wilds of the western United States, Atlee is called in to investigate a case in the Grand Canyon. She knows about killers and perhaps understands them better than any profiler in the FBI, but it soon becomes clear that she will need to put her skills to the ultimate test in this investigation. Will Robie is the US government's most professional, disciplined, and lethal assassin. With global threats to US national security a constant danger it falls to Robie to infiltrate the most hostile countries in the world to eliminate threats before they ever reach US shores. Back in DC after successful missions in Edinburgh and Tangier, assassin Will Robie sees his latest assignment, to eliminate a US government employee, go badly wrong. What had she done, or what did she know? Robie is now a wanted man. But it seems that he's not the only one on the run. Young teenager Julie Getty is devastated by the inexplicable murder of her parents in their home. Who wanted them dead, and why, is a mystery. But Julie is smart enough to believe that their killer will come after her. Robie and Julie meet when he saves her from an attempt on her life as they were trying to leave town. The police investigating the hit start to take an interest in Robie. He's particularly attracting the interest of Special Agent Nicole Vance, who believes that the two cases are connected. Robie finds himself in a dangerous position as he is tasked to investigate a crime at which he was present. Does he need to change sides to save lives - including his own? When government hit man Will Robie is given his next target he knows he's about to embark on his toughest mission yet. He is tasked with killing one of their own, following evidence to suggest that fellow assassin Jessica Reel has been turned. She's leaving a trail of death in her wake including her handler. The trap is set. To send a killer to catch a killer. But what happens when you can't trust those who have access to the nation's most secret intelligence? An attack from North Korea looks likely as US involvement in an attempted coup is revealed, and a bond of trust has been broken at the very highest level. Chung-Cha is a young woman who was raised in the infamous Yodok concentration camp. It's a place where honour, emotion and compassion don't exist. Cold, calculating and highly skilled, Chung-Cha has been trained to kill. And the task she has been given is to destroy the enemy at all costs. A dangerous and deadly operation of cat and mouse plays out between East and West. But who will be the hunter and who will be the hunted when the true target is finally revealed..? When Special Agent Will Robie gets the call to make his first visit home since he was a teenager, it's because his father, the local judge, has been arrested for murdering a man who came before him in court. The small, remote Mississippi town hasn't changed and its residents remember Robie as a wild sports star and girl magnet. He left a lot of hearts broken, and a lot of people angry. Will and his father, Dan, are estranged, and his mother left years ago. When he visits Dan in jail, he finds that time hasn't healed old wounds. There's too much bad blood between the men, and although Will feels no good will come of staying around, he is persuaded to confront his demons by fellow agent Jessica Reel. But then another murder changes everything, and stone-cold killer Robie will finally have to come to grips with his toughest assignment of all. His family. London is on red alert. Will Robie, as the US government’s most lethal assassin, is called in to foil a terrorist attack on the London Underground. An attack serving as a test run for a much larger plot to take place on US soil. Trained to neutralize threats without leaving a trace, he’s an indispensable asset to his country. But then reports come in that his mentor, Blue Man, real name Roger Walton, has gone missing while visiting his home town in Colorado. Fearing he’s been kidnapped, Robie, and fellow agent Jessica Reel, are sent to investigate. The high-ranking CIA official holds secrets that could threaten national security if released and so only the best will do in tracking him down. This tight-knit community close to the Rocky Mountains holds many secrets and people there are more than willing to take the law into their own hands at the first sign of trouble. To them, two government agents are just that. When ex-detective Amos Decker returned home eighteen months ago to find the bodies of his wife and only daughter, he didn't think he could carry on living. Overwhelmed with grief, he saw his life spiral out of control, losing his job, his house and his self-respect. But when his former partner in the police, Mary Lancaster, visits to tell him that someone has confessed to the murder of his family, he knows he owes it to his wife and child to seek justice for them. As Decker comes to terms with the news, tragedy strikes at the local school. Thirteen teenagers are gunned down, and the killer is at large. Following the serious brain injury Amos suffered as a professional footballer, he gained an extraordinary memory - and the police believe that this unusual skill will assist in the hunt for the killer. When new evidence links the murders, Decker is left with only one option. Melvin Mars awaits his fate on Death Row. He was one of America's most promising football stars until, aged twenty-years-old, he was arrested and convicted for the murder of his parents just as he was due to begin a very lucrative contract with the NFL. When Amos Decker, newly appointed special agent with the FBI, hears the news that Melvin was saved in the final seconds before his execution because someone has confessed to the killings, he persuades his boss to allow him to carry out an investigation into the Mars murders. There are facts about the case which don't add up, and as the investigation deepens, Decker and his team uncover layer upon layer of lies and deception which are rooted at a time in American history which most would rather forget, but some seem keen to remember. There is someone out there with a lot to hide, and a secret that everyone is looking for. A race against time ensues because, when revealed, that information threatens to tear apart the corridors of power at the very highest level. Walter Dabney is a family man. A loving husband and the father of four grown daughters , he’s built a life many would be proud of. But then the unthinkable happens. Standing outside the FBI Headquarters in Washington, D C, Dabney shoots school teacher Anne Berkshire in cold blood before turning the gun on himself. One of the many witnesses is Amos Decker; a man who forgets nothing and sees what most miss. Baffled by what appears to be a seemingly senseless and random killing, Decker is thrust into the investigation to determine what drove this family man to pull the trigger. As part of an FBI special task force, Decker and the team delve into the lives of Dabney and Berkshire to find a connection that doesn’t seem to exist. What they do find are secrets that stretch back a lifetime and reveal a current plot of impending destruction that will send the world reeling, placing Decker and his team squarely in the crosshairs. Small towns which have seen better times are not unusual. But the mysterious events in Baronville, Pennsylvania, are raising the highly-tuned antennae of agent Amos Decker and his FBI partner, Alex Jamison. What was supposed to be a relaxing vacation turns into a murder investigation when two bodies are found in a nearby deserted house. With the body count rising, Decker and Jamison dig deep to uncover a sinister truth in Baronville, which could be the canary in the coalmine for the rest of the country. But even the duo’s skills and Amos Decker’s infallible memory may not be enough to save this town, or them, from becoming the next victims. Four years on from the brutal murders of his beloved wife and daughter, FBI consultant Amos Decker is finally ready to return to his hometown, Burlington, Ohio, and tackle his grief. The last thing he was expecting was to be confronted by a man from his past, Meryl Hawkins, his first ever homicide arrest. Recently released from a life sentence, due to a terminal illness diagnosis, Hawkins is determined to prove to Decker that he was innocent all along. Suddenly, Decker finds himself questioning the case – did he help put an innocent man behind bars? Was Hawkins truly innocent? And is the real killer still out there? To solve this case, Decker must work with his former partner, Mary Lancaster, digging through the evidence and finding possible connections to a new crime. Together, they must put this case to rest once and for all, before another life is claimed by a killer still on the loose. A combat veteran and special agent with the U.S. Army, John Puller is the man they call to investigate the toughest crimes facing the nation, often with the help of intelligence operative Veronica Knox. In this action-packed series Puller faces criminal conspiracies, deadly state secrets and some perilous mysteries that hit dangerously close to home. Criminal investigator John Puller is drawn closer to home when his aunt is found dead in her house in Paradise, Florida. The local police have ruled the death as an accident, but Puller finds evidence to suggest that she may well have been murdered. CID investigator, John Puller, has returned from his latest case in Florida to learn that his brother, Bobby, on death row at Leavenworth Prison for national security crimes, has escaped. Preliminary investigations show that he may have had help in his breakout. Now he's on the run, and in disguise, and he's the US government's number one target. John Puller has a dilemma. Which comes first, loyalty to his country or to his brother? Bobby has state secrets that certain people will literally kill for. But blood is thicker than water, and the brothers are close although even John does not know for sure what Bobby really did for the government, nor if he's even guilty of his crimes. It becomes swiftly apparent, however, that Bobby's role was powerful and far-reaching. With the help of John's long-time friend and colleague, General Julie Carson, both brothers move closer to the truth from their opposing directions. And this case puts John Puller in a place he thought he'd never be, on the other side of the law, where even his skills as an investigator, and his strength as a fighter, might not be enough to save him. And his brother. John Puller is the US Army's most tenacious investigator, but he is not equipped to face the truth about his mother's disappearance thirty years ago. New evidence has come to light suggesting that Puller's father - a highly decorated army veteran - may have murdered his wife. When Puller's friend, intelligence operative Veronica Knox, arrives on the scene, he realizes that there is far more to this case than he first thought. He knows that nothing will prevent him from discovering what really happened. Paul Rogers has just been paroled after spending ten years in a high-security prison for murder. And with his freedom comes a desire to pay back old debts. Harbouring a dark past that changed him in unimaginable ways, Rogers embarks on a journey across the country, set on a path of revenge against the people who took away his humanity. As both men uncover a trail of deception that stretches back decades, they soon realize that the truth will bind them together in ways they could never have imagined. Sean King and Michelle Maxwell are former Secret Service agents turned private investigators in Washington D.C., and Virginia. Whilst researching his novels, David has been inside the buildings of some of the world's leading intelligence agencies, meeting real-life spies and intelligence leaders. The King and Maxwell series was filmed as a major U.S. television show for TNT. When something distracts Secret Agent Sean King for a split second, it costs him his career and presidential candidate, Clyde Ritter, his life. But what stole his attention? And why was Ritter shot? Eight years later Michelle Maxwell is on the fast track through the ranks of the Secret Service when her career is stopped short: presidential candidate John Bruno is abducted from a funeral home while under her protection. The similarity between the two cases drives Michelle to re-open investigations into the Ritter fiasco and join forces with attractive ex-agent King. The pair are determined to get to the bottom of what happened in those critical moments. Meanwhile, high-ranking members of the legal system and key witnesses from both cases are going missing. King is losing friends, colleagues and clients fast and his ex-lover, Joan Dillinger, is playing curious games - she wants Sean back, but she also owes him for something . . . The unidentified corpse of an attractive young woman turns up in the woods; two high school kids, one shot in the back, the other in the face, are found dead in their car; a successful lawyer is discovered stabbed to death in her own home. A serial killer is on the loose. The murderer kills in the manner of famous killers of the past but takes care to leave a stopped watch at the scene of each crime - corresponding to the victim's position on his hit list. Sean accepts a much-needed job. A physicist, Monk Turing, has died in mysterious circumstances near Babbage Town - a secretive establishment populated by an eccentric group of scientists and cryptographers, funded by an anonymous but powerful group. Meanwhile the dead man's young daughter, piano-playing prodigy Viggie, has secrets of her own. But what is the significance of the phrase 'codes and blood'? Directly across the York River from Babbage Town lies the sinister CIA training ground, Camp Peary, where Monk Turing's body was found. With both the FBI and CIA breathing down Sean's neck, can he discover the truth? And will he be in time to save Michelle from herself? When she turned the page and her gaze flickered over the date on top it was as though the lightning outside had somehow grounded right into her. A billion volts of pain, a shriek of anguish you could actually see, and feel, as it pierced her. Camp David, USA. A birthday party turns into a nightmare when a child is snatched after the celebrations. The First Lady enlists the services of Sean King and Michelle Maxwell to bring the child home safely. But she and King share a past. Years ago he saved her then senator husband from political disaster. And this may not be all that passed between them. With Michelle still battling her own demons, the two are pushed to the limit, with forces aligned on all sides against them - and the line between friend and foe impossible to define... or defend. When alleged serial killer Edgar Roy is locked away in Cutter's Rock psychiatric unit, private investigators Sean King and Michelle Maxwell are called in by Roy's lawyer, Ted Bergin, to examine the case further. But the investigation is derailed before it begins when Bergin is found murdered in his car on the highway. A sinister trail of terrifying events begins to unfold as King and Maxwell attempt to determine Roy's guilt or innocence. When the FBI becomes involved, it fast becomes apparent that there's much more to this case than meets the eye. As they dig deeper into Roy's past and learn about his phenomenal ability, they are bombarded with obstacles, half-truths, and dead ends which make filtering the facts all the more difficult. As each new theory brings a new revelation, King and Maxwell are pushed to the limit. Could this be the case which leaves the duo permanently parted? King and Maxwell encounter teenager Tyler Wingo when he has just received the tragic news that his soldier father has been killed in Afghanistan. But then Tyler receives an email from his father... after his supposed death. Sean and Michelle are hired to solve the mystery, and their investigation leads to deeper, even more troubling questions. Could Tyler's father really still be alive? Was his mission all that it seemed? Has Tyler's life been a lie, and could he be the next target? It's clear that King and Maxwell have stumbled upon something even more sinister when those in power seem intent on removing them at any cost. Determined to help and protect Tyler, their search for the truth takes them on a perilous journey which not only puts their lives at risk but arrives at a frightening conclusion. Nicolas Creel, a super-rich arms dealer, decides that the best way to boost his business is to start a new cold war - and he won't let anything or anyone get in his way. As international tensions rise and the superpowers line up against each other, the lives of three very different people will never be the same again. As intelligence agent Shaw, academic Anna Fischer and ambitious journalist Katie James are all drawn into Creel's games, can anything stop the world from spiralling out of control? Evan Waller is a monster. He has built a fortune from his willingness to buy and sell anything... and anyone. In search of new opportunities, Waller has just begun a new business venture: one that could lead to millions of deaths all over the globe. On Waller's trail is Shaw, the mysterious operative from The Whole Truth, who must prevent Waller from closing his latest deal. Shaw's one chance to bring him down will come in the most unlikely of places: a serene, bucolic village in Provence. But Waller's depravity and ruthlessness go deeper than Shaw knows. And now, there is someone else pursuing Waller in Provence -Reggie Campion, an agent for a secret vigilante group headquartered in a musty old English estate- and she has an agenda of her own. Hunting the same man and unaware of each other's mission, Shaw and Reggie will be caught in a deadly duel of nerve and wits. Four unlikely partners who seek the truth, an often elusive goal in their hometown of Washington D.C. comprise The Camel Club. Made up of an assortment of ex-intelligence operatives, army veterans and political experts, Oliver Stone, Reuben Rhodes, Caleb Shaw, and Milton Farb are four unforgettable characters who unite to investigate government conspiracies. In their quest to unearth corruption they are assisted by an unusual array of friends – Secret Service agent Alex Ford, homeless activist Adelphia, and con-artist extraordinaire Annabelle Conroy. The man known as Oliver Stone has no official past. He spends most days camped opposite the White House, hoping to expose corruption wherever he finds it. But the stakes are raised when he and his friends, a group of conspiracy theorist misfits known as The Camel Club, accidentally witness the murder of an intelligence analyst. Especially when the authorities are seemingly happy to write it off as a suicide. For Secret Service agent Alex Ford, monitoring the 'investigation', the suicide verdict doesn't ring true. As punishment for sticking his nose where it doesn't belong, he is reassigned to bodyguard duties. His abilities are tested to the limit when he is sent to protect the President during a visit to his hometown, where a terrorist cell has spent months plotting an event that will shake the world. Meanwhile, America's powerful intelligence chief Carter Gray is unnerved when he glimpses the face of an old acquaintance in Arlington Cemetery - but it is the face of a man supposedly long dead . . .
And as The Camel Club is poised to expose a conspiracy that reaches into the heart of Washington's highly secretive corridors of power, Alex Ford finds out that his worst nightmare is about to happen . . .
Annabelle is a beautiful stranger with a mysterious past, planning the heist of the century – two short cons to fund a long con, then a life of unashamed luxury, incognito in a foreign land. Jonathan DeHaven, the shy head of the Rare Books Division at the Library of Congress, is planning nothing more than an uneventful day amongst his cherished collection. But when Jonathan is found dead by Caleb Shaw, a member of the Camel Club, two conspiracies are destined to meet as the Club determines to track down the dead man’s long-lost wife – and Annabelle decides to avenge the death of her beloved ex-husband. Casino king Jerry Bagger from The Collectors is hunting Annabelle Conroy, the beautiful woman who conned him out of millions. Stone and his colleagues Reuben, Milton, and Caleb marshal all their resources to protect Annabelle. Yet all their skills may not be enough when a deadly new opponent rips off the veneer of Stone's own mysterious past: Bagger's menace pales next to newcomer Harry Finn's lethality. Passing as a normal family man, Finn has already killed three men, with more targets to come. When Finn sets his bull's-eye on Stone, his reason will be the greatest shock of all, causing readers to reconsider their views of good and evil. As bodies and institutions topple, the story rockets toward a shattering finale that will leave the survivors of this explosive tale changed forever. Known by his alias, "Oliver Stone," John Carr is the most wanted man in America. With two pulls of the trigger, the men who hid the truth of Stone's past and kept him in the shadows were finally silenced. But Stone's freedom has come at a steep price; the assassinations he carried out have prompted the highest levels of the United States Government to unleash a massive manhunt. Joe Knox is leading the charge, but his superiors aren't telling him everything there is to know about his quarry-and their hidden agendas are just as dangerous as the killer he's trying to catch. Meanwhile, with their friend and unofficial leader in hiding, the members of the Camel Club must fend for themselves, even as they try to protect him. As Knox closes in, Stone's flight from the demons of his past will take him far from Washington, D.C., to the coal-mining town of Devine, Virginia-and headlong into a confrontation every bit as lethal as the one he is trying to escape. On the night of the State Dinner honouring the British Prime Minister, Oliver Stone witnesses an explosion as the motorcade leaves the White House. A bomb has been detonated in what looks like a terrorist plot directed at the President and the Prime Minister. In the aftermath, British MI5 agent Mary Chapman, an experienced, lethal operative with an agenda of her own, is sent to assist and coordinate the investigation alongside American authorities. Stone, together with Harry Finn, Alex Ford and the rest of the Camel Club, is drawn into the inquiry. But everything is not what it seems, and what happened in the park may not have been the actual plan. It seems the mysterious attackers had another target in their sights, and it's up to the Camel Club to stop them, or face the catastrophic results. Vega Jane was always told no one could leave the town of Wormwood. She was told there was nothing outside but a forest filled with danger and death. And she always believed it — until the night she saw Quentin Herms run away. Vega knows Quentin didn’t just leave — he was chased. And he left behind a trail of clues that point to a dark conspiracy at the heart of Wormwood. To follow the clues will attract the attention of influential people willing to kill to keep their secrets. If Vega wants to stay safe, she just needs to keep her head down and her mouth shut. There’s only one problem — Vega Jane never walks away from a fight. Vega Jane was always told no one could leave the town of Wormwood. She was told there was nothing outside but the Quag, a wilderness filled with danger and death. And she believed it - until the night she stumbled across a secret that proved that everything she knew was a lie. Now Vega and her best friend Delph must find a way to make it across this terrifying land of bloodthirsty creatures and sinister magic. But the Quag is worse than Vega Jane's darkest imagining. It's a living, breathing prison designed to keep enemies out and the villagers of Wormwood in. The Quag will throw everything at Vega. It will try to break her. It will try to kill her. And survival might come at a price not even Vega is willing to pay. This is it. Vega Jane's time. Lied to her whole life, she has broken away from Wormwood, the only home she's ever known, and headed off into the Quag in search of the truth. She battles horrors to fight her way through it, with her best friend, Delph, and her mysterious canine, Harry Two, alongside her. Against all odds, they survive - but arrive into a place that's even worse. Not because deadly beasts roam the streets, but because the people there are enslaved and don't even know it. It's up to Vega, Delph, Harry Two and their new comrade, Petra, to take up the fight against a savage and cunning new foe - and their triumph or failure will determine the fate of the whole world.